Kimono is a Japanese traditional national clothes. It’s also called “Wafuku”, which literally means “Japanese clothes”. You use a bathrobe-like “Nagagi” and an about 30-centimeter-long “Obi” to wear Kimono. It used to be worn as regular clothes in old Japan, but nowadays, Japanese people only wear them in cerebration events such as the New Year or wedding ceremony as their Sunday best. Because people hardly put them on in daily life, less and less people buy and own Kimono. Instead people recently rent a Kimono. 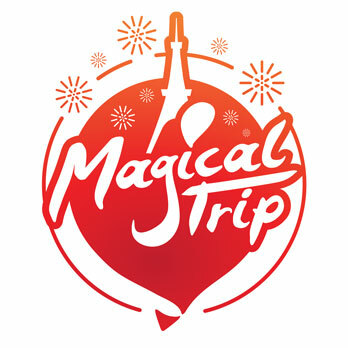 And also foreign tourists can use the rental service! 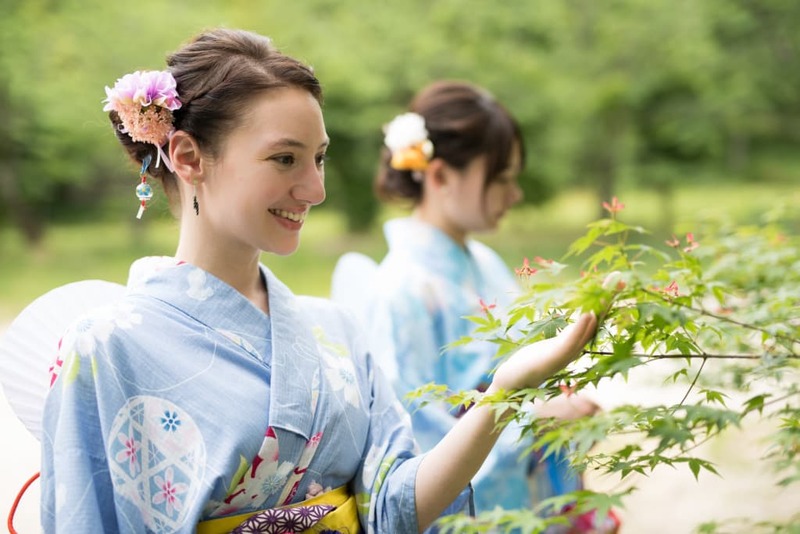 With the rental Kimono service, you can rent and wear Kimono. Usually they rent you not only Kimono itself but also other necessaries such as “Obi”, underwear called “Juban”, and shoes called “Hakimono”. That is why more and more tourists are using this service. How about going out and eating out wearing Kimono? Let’s Rent a Kimono in Tokyo! Asakusa is an ideal town to wander wearing Kimono. There still remains the atmosphere that good old Japan used to have. Asakusa has many historical buildings such as “Senso-ji temple”. With wearing Kimono, you will feel as if you slipped back in time. Let’s put on Japanese traditional clothes in a Japanese historical town, then your thought would turn to old Japan! “Gion and Kawaramachi” is good areas to wander wearing Kimono. The towns still have old Kyoto-style buildings. There are geisha girls who entertain at dinner parties with Japanese traditional songs and dancing, and also there is famous touristic place such as “Yasaka-jinja shrine”. Of course you can easily find rental Kimono shops in there. How about visiting the convenient towns? Let’s Rent a Kimono in Kanazawa! Rent a Kimono in Kanazawa and go to “Kenroku-en” area. Kenroku-en is one of the Japanese 3 greatest gardens, where you can enjoy beautiful landscape of the seasons. This garden was made by the Maeda family who used to rule this area. This garden’s very Japanese landscape will be a good combination with your Kimono! Let’s Rent a Kimono in Fukuoka! If you rent a Kimono in Fukuoka, go to “Temjin” Area. This are has one of the most bustling street in Kyushu, but there still remains the atmosphere of good old Japan. This town’s touristic places are “Suikyo-tenmangu”, which is dedicated to a politician of Heian-era, and “Akarenga-bunkakaikan”, which was built in Meiji-era. How about going there and walking around there?